In 1999 Dr. Godbold developed a special interest in laser technology. Dr. Godbold has published numerous papers, articles and chapters about the use of lasers in small animal practice. His publications have appeared in the Journal of the American Veterinary Medical Association, Clinician’s Brief, Laserpoints, The Feline Patient, The Integrative Veterinary Care Journal and the Newsletter of the Veterinary Surgical Laser Society. 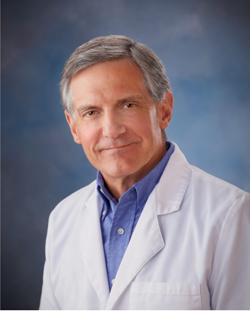 In 2002 Dr. Godbold published the widely distributed Atlas of CO2 Laser Surgery Procedures, followed in 2009 by the Atlas of Class IV Laser Therapy – Small Animal. He is a contributing author and co-editor of the textbook Laser Therapy in Veterinary Medicine – Photobiomodulation. Dr. Godbold is in high demand as a laser trainer and has spoken at over 500 workshops, wet-labs and continuing education courses throughout the world.